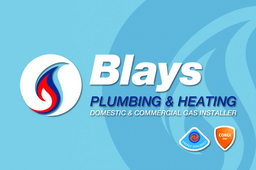 Founded in 2005, Blays Plumbing and Heating is fully Corgi Registered, has several years experience in the Gas Central Heating sector and 10 years in the Commercial sector, and provides all aspects of plumbing and heating services, all new gas works are fully corgi registered/certified, to a diverse range of customers throughout the local area. The company is based in Leeds. Assisting clients to benefit in reducing their energy bills by replacing old boilers, very efficient in timekeeping, and dust sheets are used throughout the property. 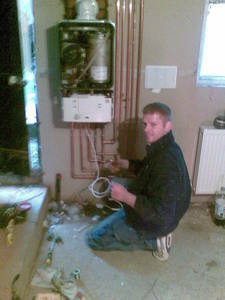 The company provides the general public with a professional plumbing and heating services. With state of the art boilers, and very efficient, capable staff, the service is designed to be energy efficient and improve performance. With a close-knit unit of enthusiastic tradesman, Blays Plumbing and Heating has a talented team, qualified to level 2 plumbing, Gas Safe Registered Installer and 10 years on-site Commercial experience. My aim as a business is to help the consumer with the best overall heating system on the market, that not only helps the consumer save money on bills, but to also help reduce their carbon footprint. I offer a wide range of services, from boiler swaps, to full central heating systems, full bathroom refurbs with qualified tilers, and an electrician for any electrical work thats required. I also fit fires/surrounds, install gas hobs, and every new gas appliance fitted will be registered with Gas Safe Register to which I am a member of, and I always carry my ID card if you would like to see it. I also service any appliance that complies to the gas safe register and that the appliance service history is up-to-date. I also offer Landlords for Gas Safety Checks. NEW CENTRAL HEATING SYSTEM What do you think about the Government increasing the VAT to 20% I think its disgusting, but beat that rush and get a new A-RATED boiler system installed before January 2011, and save youself pounds before the price hike. Have a new A-RATED boiler installed before Autumn/Winter and watch the pounds drops off your energy bill and also help the environment by reducing your carbon footprint. Give me a call today, and don&#39;t delay on the potential savings you could save youself today !! !